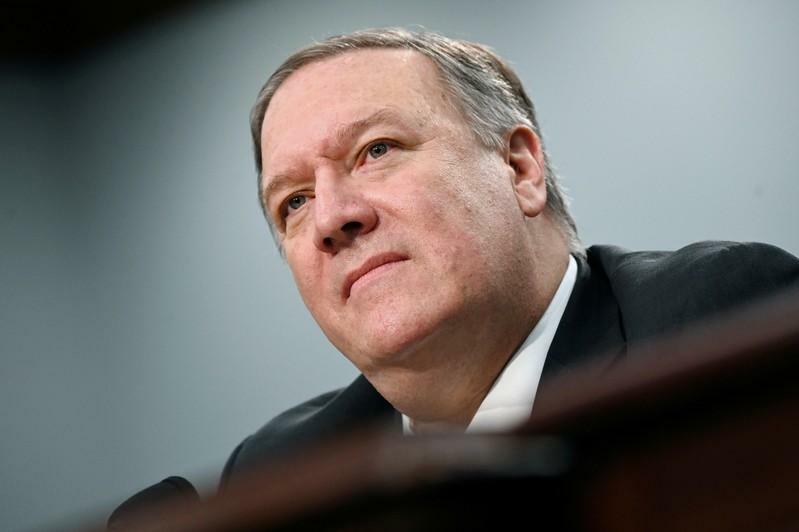 WASHINGTON (Reuters) - U.S. Secretary of State Mike Pompeo expressed support for Congo President Felix Tshisekedi's "change agenda" to tackle corruption, improve human rights and strengthen security during their first meeting on Wednesday, the State Department said. It was Tshisekedi's first visit to the United States since winning Dec. 30 elections, which while marred by widespread accusations of fraud, led to the first transfer of power via the ballot box in the Democratic Republic of Congo. "They discussed the future of U.S.-DRC relations following the country's historic transfer of power earlier this year," the department said in a statement. They also discussed ways to combat the Ebola outbreak in the country's eastern region, which has killed more than 600 people, and ways to open the country to U.S. investment, the department added. While the sanctions have targeted Congo's electoral commission chief and advisers, Washington has stopped short of calling into question the legitimacy of Tshisekedi's victory.